While many would be quick to say that the theme of Romans is ‘salvation by faith alone,’ it’s noteworthy that Paul not only begins, but ends his letter to the Romans with “the obedience of faith,” strongly suggesting that is the dominant message. We live out our faith through our willed obedience to the Lord; that is why there is perfect harmony between Paul’s letter to the Romans and James’ affirmation that faith without works is dead. I note also that in John’s Gospel, the Apostle uses the verb form, ‘pisteuo,’ (“to receive and accept information, and have enough confidence to be willing to act on it”) nearly one hundred times, but doesn’t use the noun form at all. 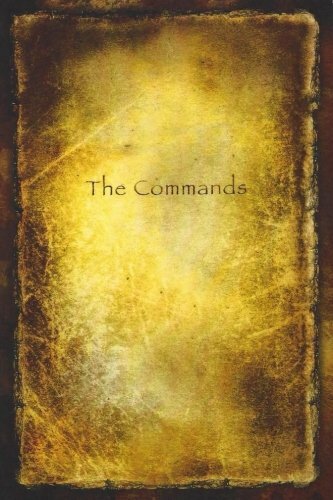 All of which brings us to The Commands, “assembled and with notes” by Michael Phillips, a book that is not nearly as well known as it ought to be. As Phillips points out in the Introduction, “[a]ll Christians are familiar with Christ’s Great Commission—his final charge to make disciples of all nations and take his gospel to the ends of the earth. What has gone undetected, however, is the roadmap he gave detailing exactly how this world-changing enterprise is to be carried out. “The world will come to Christ as Christians DO WHAT JESUS SAID. “Christians will reflect Christlikeness in their personal lives as they DO WHAT JESUS SAID. How do we love God with all our heart, all our mind, all our strength, all our soul? We strive with everything in us to do what he has commanded us to do. That is living our faith. That is faith.